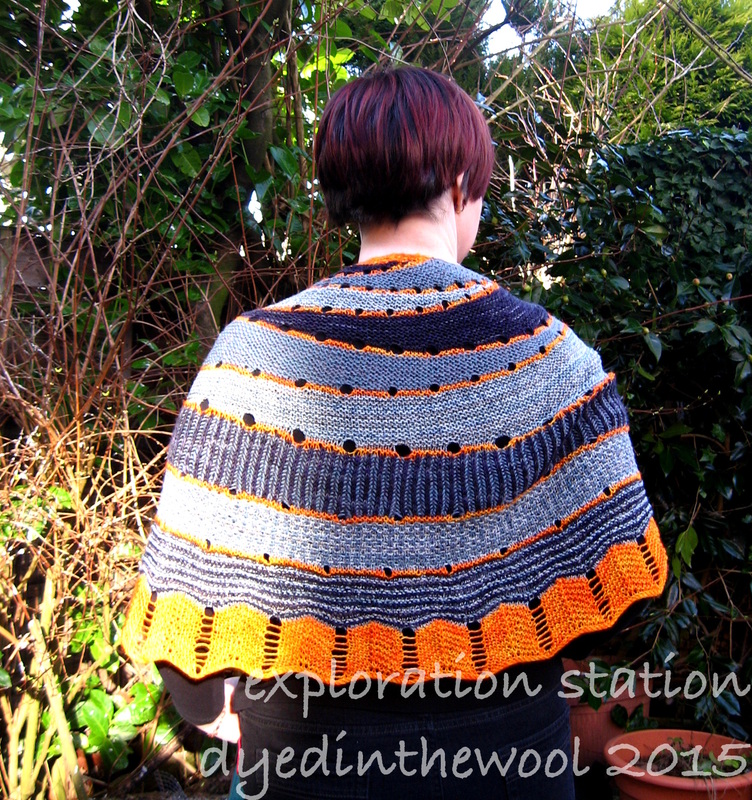 It made a pretty decent-sized shawl! Four sock weight yarns (all from stash). I love the swooping of those short rows at the top. Size: 155 cm wingspan by 62 cm at deepest point. Disappointingly the Mystery Shawl did not resemble any kind of body part this year. I was rather looking forward to that! I learnt a couple of new techniques, most significant being brioche. I loved it! I’m really pleased with my colour choices, especially the balance between the 3 tonal colours and the one contrast. I’m glad I waited until lots of other people had knit their first clues so I had a good idea of what would and wouldn’t work. Various scraps of sock-weight yarn too numerous to mention! The ends! The ends! So. many. ends. 2.25 mm needles for stocking stitch sections, 2.5 mm for stranded colourwork sections. Not all of these relate to me directly (some are inspired by family). The joy of repetition really is in you. 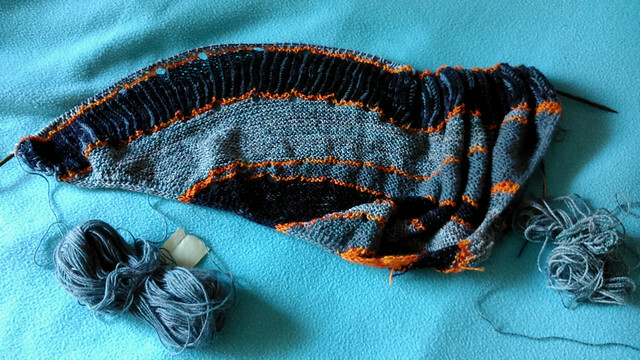 Like this i-cord cast off for the Exploration Station shawl. Although it does make a lovely cast off edge. “k2, k2tog tbl, slip 3 sts back to LH needle” rep ad nauseum. Last section now under way. 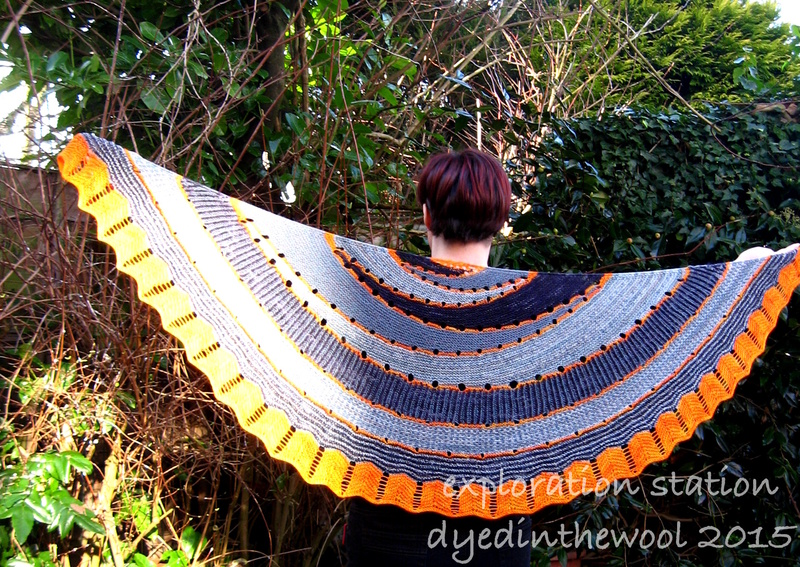 Because I’m perilously close to finishing this, I’m going to switch to another UFO1 and move the shawl into WIP2 status. The Torirot Mystery Mittens aka Secret Garden mittens, started in January of 2014. Wish me luck! I’ve come to the conclusion, after tripping over yet another half-finished project that should be in the WIP Ottaman, that I have too many UnFinished Objects. This week’s project hasn’t been a UFO for very long, but it still counts! 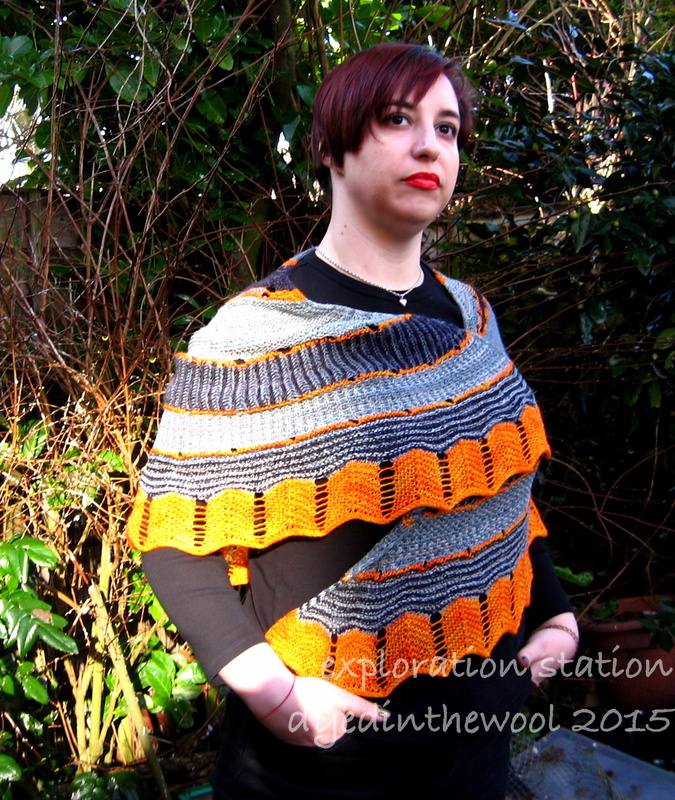 It’s the Stephen West 2014 mystery shawl, Exploration Station. I worked on it a little last night, so here’s where it is as of 11 am-ish today. I’m going to alternate the UFO of the Week with any WIP (Works in Progress). Again, in theory!